When we talk about iconic Indian brands, it doesn’t get bigger than Nestle’s Maggi. And when Maggi ropes in another Indian icon, Amitabh Bachchan, you know it’s a match made in branding heaven. The new campaign is an extension of the successful ‘Meri Maggi’ communication that Nestle has been running since last year, where real user stories from across India were used on Maggi TV commercials and on the product pack. The communication has been changed marginally to ‘2 minute mein khushiyan’ for an emotional association with ‘happiness’ and not just nostalgia. The new Maggi TVC ends with the Facebook Brand Page link – again a testament to how important Facebook is to brands in India – or is it because brands here are just lazy to create their own long term online destinations and would rather ride on existing high reach media vehicles? The well-maintained Brand page already boasts of more than 800k fans. 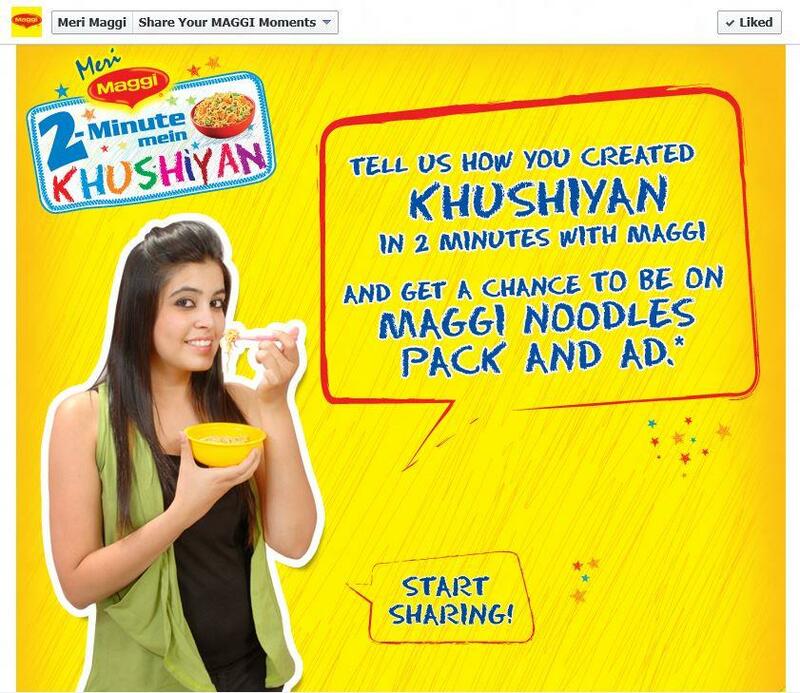 On Facebook fans can share their own happy Maggi Moments and also upload pictures and videos. The Gallery on the application up-fronts featured stories, images and videos for inspiration. I let out a happy sigh when I saw a link back from the application to the Brand Page wall!